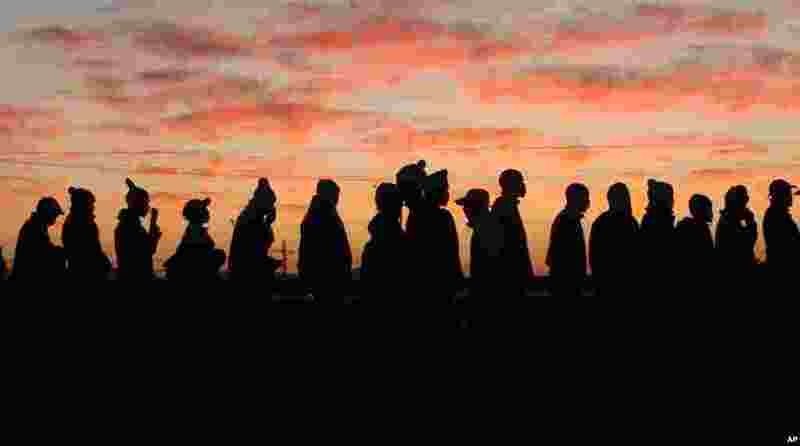 1 Platinum mineworkers report for work at Lonmin, Anglo American Platinum, mine in Marikana, South Africa, following a five-month strike. 2 A pro-democracy activist scuffles with police officers while China's top official in charge of relations with Taiwan Zhang Zhijun (not pictured), arrives at the Taoyuan International Airport, northern Taiwan. 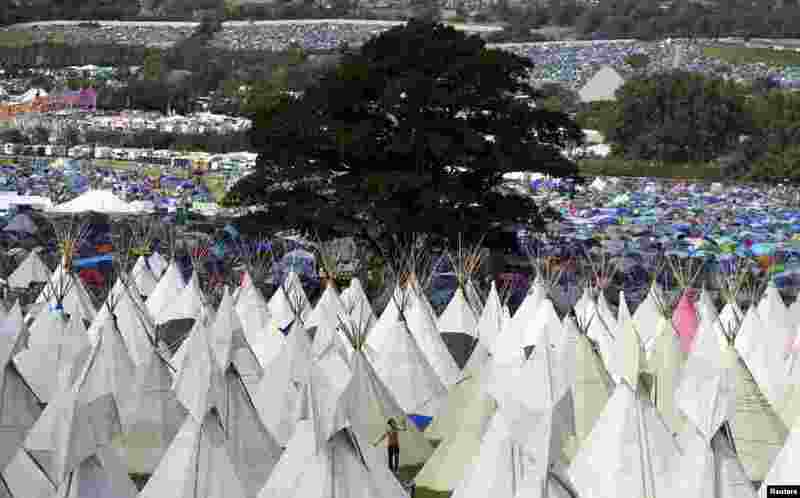 3 The Worthy Farm in Somerset is filled with tipis during the first day of the Glastonbury Festival, Britain. 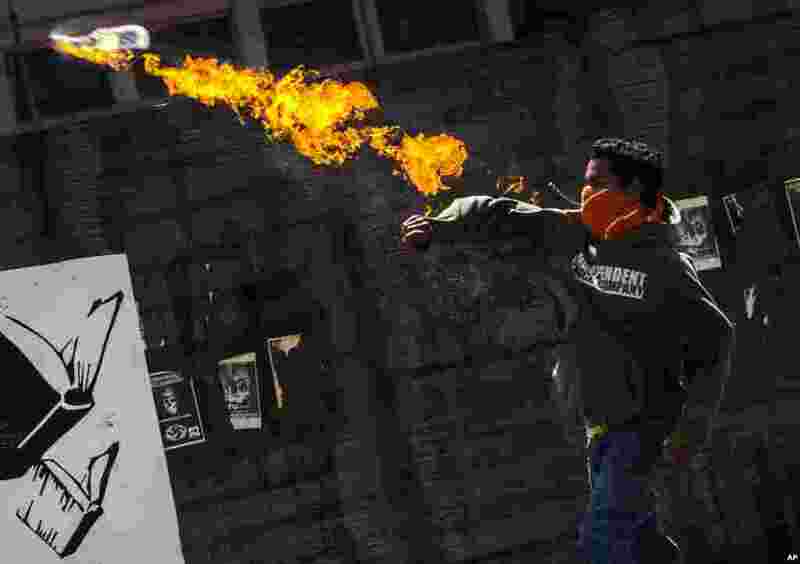 4 A protester throws a molotov cocktail at Bolivarian National Police during a protest against the government of President Nicolas Maduro in Caracas, Venezuela, June 24, 2014.